WATCH: Countries spend billions on sport stadiums, but is it worth all the money? London - Shares of Juventus Football Club SpA surged following reports the Italian soccer club is poised to sign five-time Ballon d’Or winner Cristiano Ronaldo. Current club Real Madrid would consider a fee of about €100 million ($117 million) for its record goal scorer, one-tenth of his €1bn release clause, Spanish sports website Marca reported. The 33-year-old agreed to accept a €30 million salary from Juventus, Spanish newspaper As reported, saying the clubs still need to reach a transfer agreement. Juventus shares rose as much as 9.7% in Milan, the biggest intraday rally since a crucial Champions League win in March for the team that would later crash out in a quarter-final defeat at the hands of its Spanish rival, sealed by a penalty goal from Ronaldo. The stock has climbed 20% in the last five days as speculation of a possible transfer gathered pace. While a fee of the reported amount may seem high for a player in the twilight of his career, it would be a coup for the Turin-based side known as “la Vecchia Signora,” or The Old Lady, given Ronaldo’s global marketing cachet as well as his on-field talent. It would also top the £80 million ($105.8 million) Real Madrid paid Manchester United for the Portuguese star in 2009. A spokesman for Juventus declined to comment and Real Madrid did not respond to an emailed request for comment. 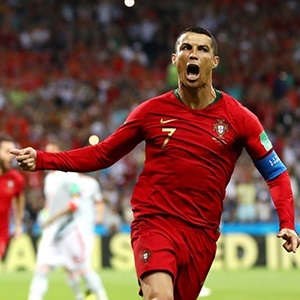 Ronaldo’s most recent exploits came at the World Cup in Russia, where he scored a breath-taking hat-trick against Spain in the group stage before Portugal was eliminated by Uruguay in the first knock-out round.